Sign up and receive Property Email Alerts of Apartments for sale in Clubview, Centurion. A great property for a young family or business professional looking for the convenient lock up and go home in a secure environment. This lovely unit is located in Savuti complex, which is arguably one of the most sought after complexes in Clubview. Savuti is located on Harvard Avenue, which offers great access to the surrounding schools, shopping centers and major routes. - 2 Spacious bedroom with carpeted floors with built in cupboards. - 1 family bathroom offers bathroom offers a shower, bathtub, toilet and basin. - The property offers an open plan lounge with sliders to a spacious balcony. The open plan dining area is located just off of the kitchen all with tiled floors. The property has a loft with a huge balcony with a braai area for an entertainment area. - The stylish kitchen offers modern cherry wood cupboards with melamine tops, a modern hob and oven. Provision has been made for a single door fridge and 1 under counter appliances. - The unit has a single garage as well as plenty of visitor parking. - Savuti offers greater security with a fully electrified perimeter fence. 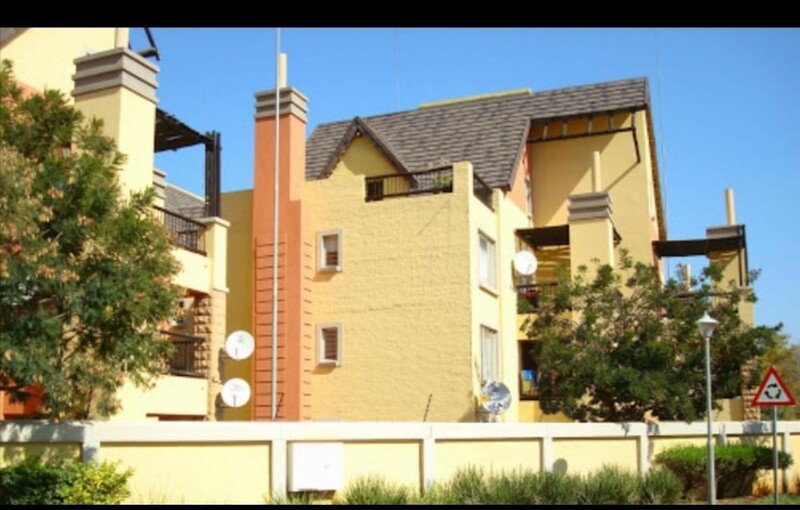 Sign-up and receive Property Email Alerts of Apartments for sale in Clubview, Centurion.